Today at Council, the City of Mississauga was recognized with the Public Sector Digest 'Most Improved' Award for the 2016 Open Cities Index. The City jumped 25 spots from 2015 to land in the Top 20. The Open Cities Index is a partnership study between Public Sector Digest and Canada's Open Data Exchange. It acts as a benchmark of Open Data initiatives for municipalities across Canada. 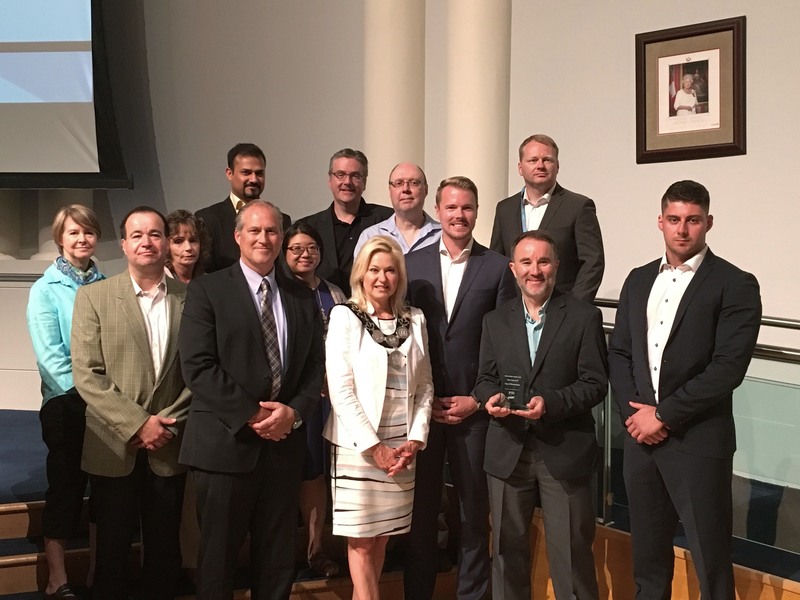 "It is great to be recognized on our commitment to an open, accountable and transparent government through Open Data," said Mayor Bonnie Crombie. "It demonstrates our continued leadership and confirms that we are on the right track toward growing our Open Data program." In 2015, Council approved an Open Data policy that provides an overview of the Open Data program, principles and guidelines for City staff. Since then, new datasets have been added regularly in the area of arts, culture and tourism; business and economy; local government; environment; infrastructure; land use and development; parks and recreation and transportation. To date, there are 99 published datasets in the City's Open Data Catalogue. "We are seeing huge growth in our Open Data program including new and expanded initiatives," said Gary Kent, Commissioner of Corporate Services and Chief Financial Officer. "Allowing citizens to access what decisions are being made is important as evidenced by the release of the City's 2016 Budget datasets last year." "Our datasets are up-to-date and readily available free of charge and in any form online. Through Open Data, we have also fostered innovation and collaboration on ideas such as the success of last year's 'Code and the City' Hackathon," added Shawn Slack, Director of Information Technology and Chief Information Officer. "We look forward to continuing that momentum at our next Hackathon, 'Tech and the City', on October 21." See the 2016 Open Cities Index full report here.